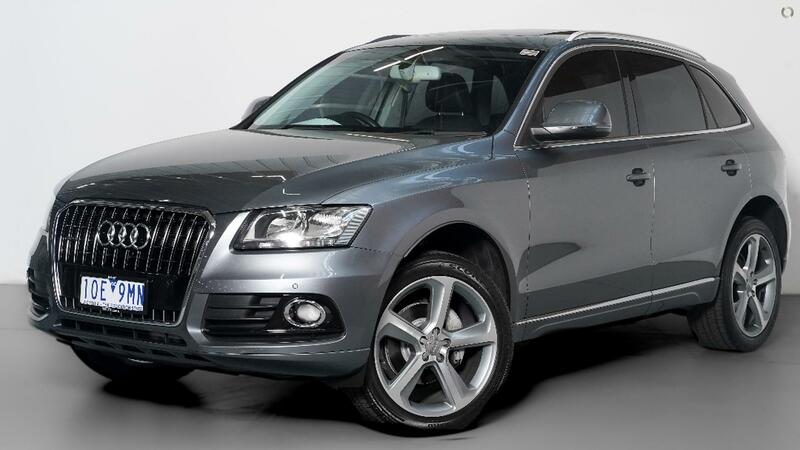 2013 Audi Q5 TDI Quattro presented in immaculate condition with Full Service History. Finished in Monsoon Grey Metallic with Soft Ash Black Leather Interior and Aluminium Trim Inserts. Highly Optioned with extras such as; Panoramic Sunroof, Comfort Access, Bluetooth, Automatic Tailgate, Full Leather Interior, Dual Climate and Front & Rear Assist. Plus many more... Finance available and trade in welcome. Price includes RWC, Warranty and Includes all on road costs. Great buying @ $28,990.00 Drive Away!!! Personal Mechanic Tests are welcome.